Home / Joomla Web Development / What is new in latest Joomla version compared to old versions? What is new in latest Joomla version compared to old versions? Joomla has been one of the most used and famous content management systems. With time many Joomla versions were introduced so that they were all in par with the new development in CMS and technology. The new versions obviously contain some part of the old ones along with new features. So, without a doubt, new versions of Joomla are much better than the old ones. To reap all the benefits that Joomla has to offer you can hire Joomla developers who will see to it that they program the Joomla website as per your need and request. Before you settle on the new or latest version of Joomla let’s see how far the Joomla versions have come. The older version of Joomla could not support the viewing of the website in mobile device. At that time, mobile device had not gotten popularity in terms of using internet. It was just used for making and receiving calls and sending and receiving messages only. But, with the birth of new generation of mobile device, the need for website to support mobile device became a necessity and a challenge as well. The Joomla was the first CMS which was mobile friendly and could be used by both the visitors as well as administrators. The main advantage of Joomla has always been the ease to build the interface. The new version of Joomla has taken this feature to a whole new level. Now, people can spend even more less time in coding because the Joomla programmers have provided almost all the necessary features in the interface. So, the user can simply use the interface and build their website. Joomla has a lot of developer tools. The number of the tools has increased with leaps and bounds since the old version of Joomla. With the introduction of new version of Joomla, the number and usefulness of such tools have also seen a new light. It pretty much has all kinds of tools that a developer or user might need while using Joomla to create websites. The new version of the Joomla are much more user friendly than the old ones. The users can easily navigate through it and build their own website. However, if some problems do arise then you can simply hire a Joomla Developers to help you. The end result aka the website will also turn out to be user friendly just like the Joomla itself. 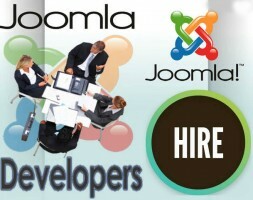 The number of Joomla programmers has also been increasing with the increase in use and popularity of Joomla. These programmers have trained themselves to get accommodated with the new techniques and tools of Joomla.